본 연구는 특정한 지역사회인 제주특별자치도를 연구범위로 하여 다매체 이용자들의 미디어 레퍼토리를 유형화하고, 레퍼토리 집단별로 지역사회자본과 사회정치참여 간의 관계를 실증적으로 분석했다. 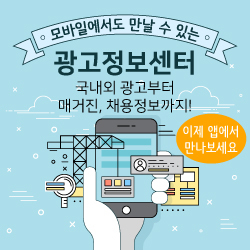 이를 위해 전국 미디어(전국 TV 방송, 전국 일간지, 라디오 방송), 지역 미디어(지역 TV 방송, 지역일간지), 개인 미디어(인터넷, 휴대폰)로 구분한 7개 미디어 이용 시간을 활용하여, 미디어 레퍼토리 추출을 위해서 비계층적 군집화인 K- 평균법(K- means)을 사용했다. 그 결과, 군집의 분포 정도와 최종 군집중심을 기준으로 6개의 군집수를 정할 수 있었다. 세부 집단은 ‘신문 중심’, ‘지역 일간지 중심’, ‘휴대폰-인터넷 중심’, ‘다매체 활용’, ‘지역 TV 방송 중심’, ‘라디오 방송 중심’ 등 6개로 분류됐다. 제주특별자치도라는 한정된 지역을 연구 대상으로 한 결과, 서울 중심이나 전국 단위의 미디어 레퍼토리에서 도출되지 않았던 지역 일간지 중심 집단과 지역 TV 방송 중심 집단을 새로이 도출할 수 있었다. 또한 다중 미디어 이용 군집별로 지역사회자본의 세부변인인 지역공동체 의식, 이웃과의 교류, 지역사회 애착, 제도 신뢰에서 모두 유의미한 차이를 보였다. 이와 함께 다중 미디어 이용자 집단별로 오프라인 정치참여에서는 유의미한 차이를 보였으나, 온라인 정치참여에서는 통계적으로 유의적인 차이가 없는 것으로 나타났다. This study sets its research scope in Jeju Island, a very distinct community, in order to find the characteristics of media repertoire and confirm the effects that these characteristics have on socio-political participation. By utilizing seven types of national, local and private media usage time, the non-hierarchial grouping method, K-means was used to extract the media repertoire in this study. Based on the results, six groups of media repertoire were determined based on the degree of distribution along with the finalized core of usage of media. The groups were divided into ‘newspaper based’, ‘daily local newspaper based’, ‘cellular phone and internet based’, ‘multi-media based’, ‘regional TV broadcasting based’ and ‘radio broadcasting based’. Through the study of a limited area such as Jeju Special Self-Governing Province, local newspaper and local TV broadcasting based groups were newly deducted; wherein the media repertory of Seoul or South Korea, such results were impossible. Also, depending on the type of multimedia used by each group, a significant difference was evident within the regional community spirit factor in a community social capital. There was also a significant difference between the amount of communication between neighbors, attachment to the community and trust within the establishment. The results also showed significant difference in off-line political participation, but there was no statistically significant difference in on-line political participation.